Platja d'Aro is in the province of Girona in Spain's Catalonia region. It is a popular resort on the Costa Brava coast. 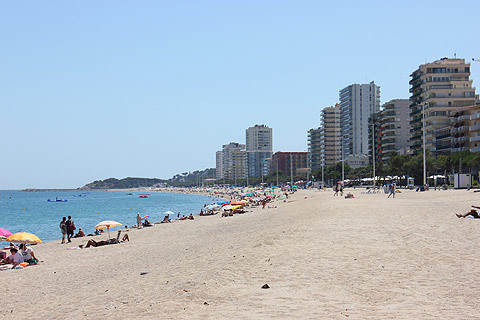 Platja d'Aro is a popular beach resort on the Costa Brava coastline. It has developed parallel to the beach and grown up for the tourist industry. Its streets, full of appartment blocks, shops, bars and restaurants are not unattractive and lots of palm trees and pretty flowering trees have been planted to line the streets. However there is no medieval centre or historical interest. This is a beach resort pure and simple. Having said that it has pretty good shops, some interesting restaurants, good night-life and a large sandy beach (though the sand is gritty). If you are looking for a lively resort but on a scaller scale than Lloret de Mar, down the coast, or huge resorts like Benidorm then this could be a good bet. If you are travelling with children then you won't want to miss a trip to Aquadiver - a large water park at Platja d'Aro. Aquadiver has a wave pool and various large waterslides and makes for a good break from the beach. It also has picnic areas and snack bars. Castell d'Aro, 3km inland from Platja d'Aro, is a medieval village with a castle. Admire the medieval monastery at the nearby resort of Sant Feliu de Guixols. 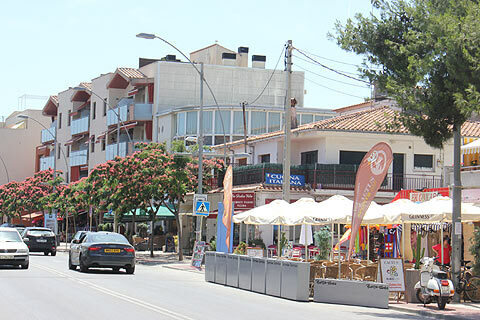 Close to Platja d'Aro is the very upmarket resort of S'Agaro. S'Agaro is a village of houses all built in the Modernist sytle by Rafael Maso, one of Gaudi's students. 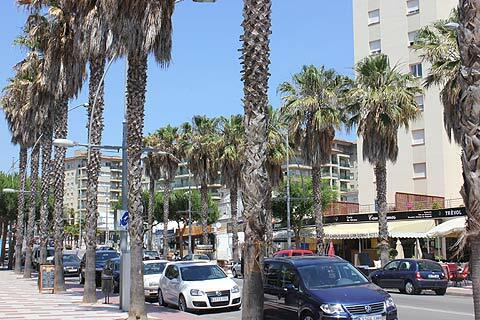 There is also a luxury five star hotel, the Hostal de La Gavina.